Apple MainStage makes it easy to bring to the stage all the same instruments and effects that you love in your recording. Everything from the Sound Library and Smart Controls you’re familiar with from Logic Pro X is integrated into MainStage 3. You can even expand your show with prerecorded backing tracks. 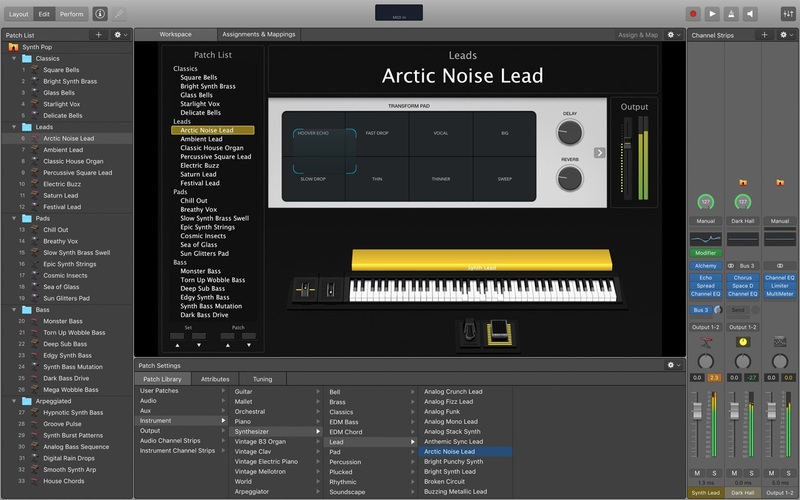 You’ll also find new features like an improved Mixer, easier-to-use channel strips, and more. With the Mac as the core of your live rig, setup is faster, teardown is faster, and everything in between is more reliable. And you can easily use your favorite hardware to control every nuance of your performance. Next story Hands Off! 4.0.2 – Monitor and control application access to network and disks. Previous story Tower 3.2.1 – Version control with Git made easy. macOS Server 5.6 beta 3 – Quickly and easily turn a Mac into a server (beta).